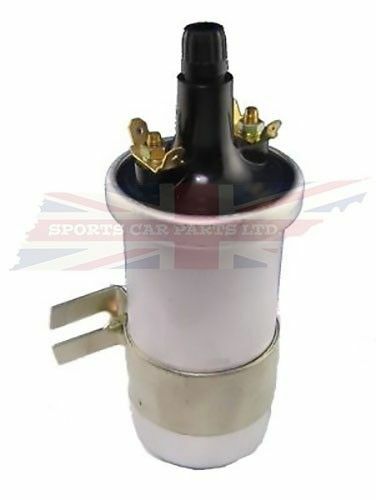 This is an Ignition Coil with a Screw On High Tension Lead. For Austin Healey BN1 to BJ8 and Austin Healey Sprites. Nice looking coil with a metal body. We also stock standard and performance coils for use with push on connections.